The information in this presentation is confidential and proprietary to SAP and may not be disclosed without the permission of SAP. This presentation is not subject to your license agreement or any other service or subscription agreement with SAP. SAP has no obligation to pursue any course of business outlined in this document or any related presentation, or to develop or release any functionality mentioned therein. This document, or any related presentation and SAP’s strategy and possible future developments, products and or platforms directions and functionality are all subject to change and may be changed by SAP at any time for any reason without notice. The information in this document is not a commitment, promise or legal obligation to deliver any material, code or functionality. This document is provided without a warranty of any kind, either express or implied, including but not limited to, the implied warranties of merchant ability, fitness for a particular purpose, or non-infringement. This document is for informational purposes and may not be incorporated into a contract. SAP assumes no responsibility for errors or omissions in this document, except if such damages were caused by SAP´s wilful misconduct or gross negligence. The idea here is to provide a tighter integration between SAP BW system and SAP BI Platform. With this integration, it will be possible to Trigger Report Schedule in SAP BusinessObejcts Platform based on “Data Load” event in BW. This approach provides an alternative of the existing File Based Event Scheduler specifically for reports based on BW data sources. A new Event Type has been introduced in SAP BI Platform called as BW Events, which is available in CMC, Infoview and new BIL. From BW we have introducing a new Process Type called as BOE Trigger Event. SAP BusinessObjects BI Platform 4.2 SP05 release. This is the first part of two part blog series. 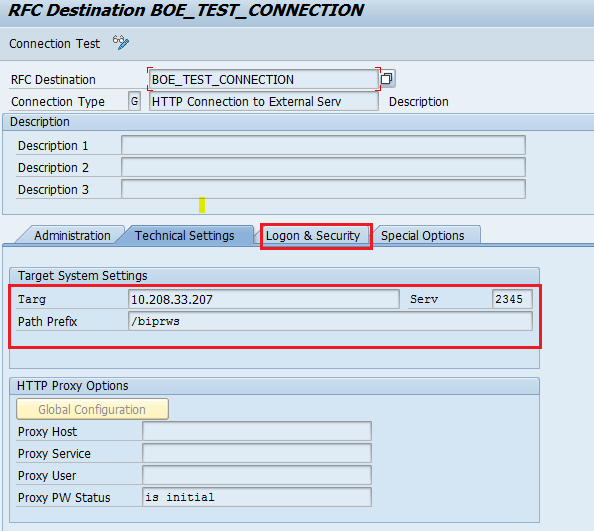 In this blog I have done a walk through of Integration Steps between BW and BI Platform as well the BW event configuration and assignment in SAP BI Platform. 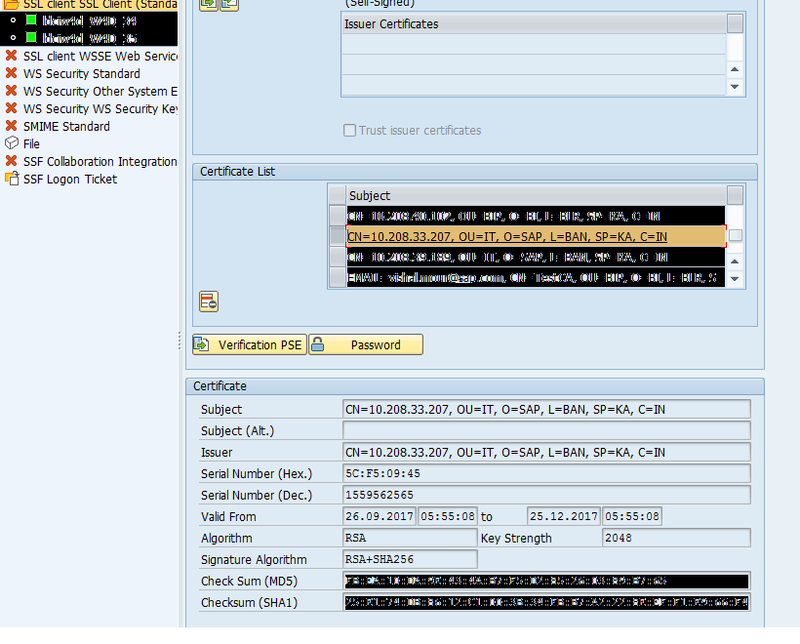 In the second blog I have done a walk through of the Process Type configuration in BW system. Similarly import BW server certificate in BOE (WACS) server trust store. The success response indicates that the Trust connection has been established between BW and BI Platform. 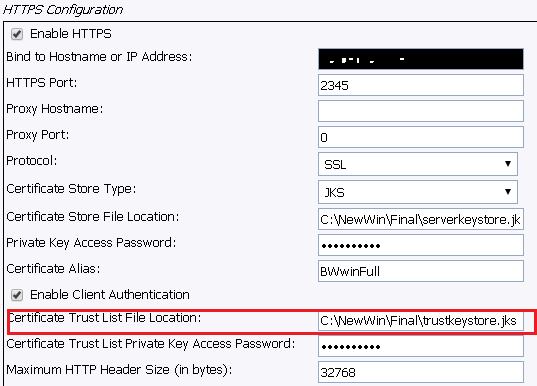 Please Note: For SSL communication, SAP BI Platform uses version TLS 1.2/1.1. 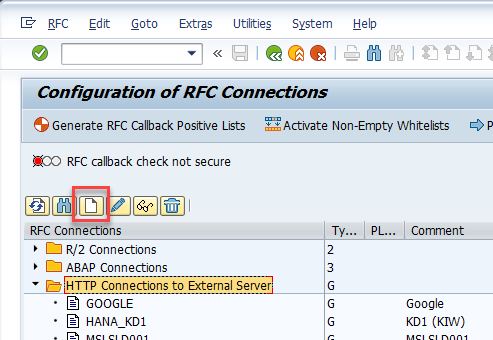 The same needs to be enabled in SAP BW system as well. Else due to cipher suite mismatch the connection might fail. New Event type called as BW Events is introduced. Double click BW Events folder. 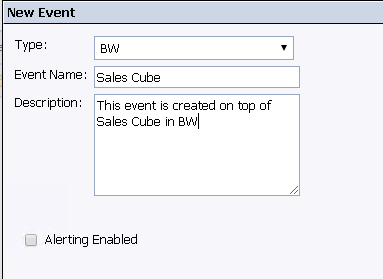 Create a new BW Event, provide the details and click ok. You can also enable Alerts for this event. We can Create Multiple BW Events based on the requirement, ideally one for each Data Source such as Cube, DSO etc. on which your BI Platform report is created. Right click report, and select Schedule. Goto Events -> BW events. We should be able to see the list of BW events created under Available Events. Select the right event and move it under Events to Wait for. Set a recurrent schedule for the report. Logon to CMC -> Users and Groups. Create a new user having account name as BW system name.